Large beast of an amp. 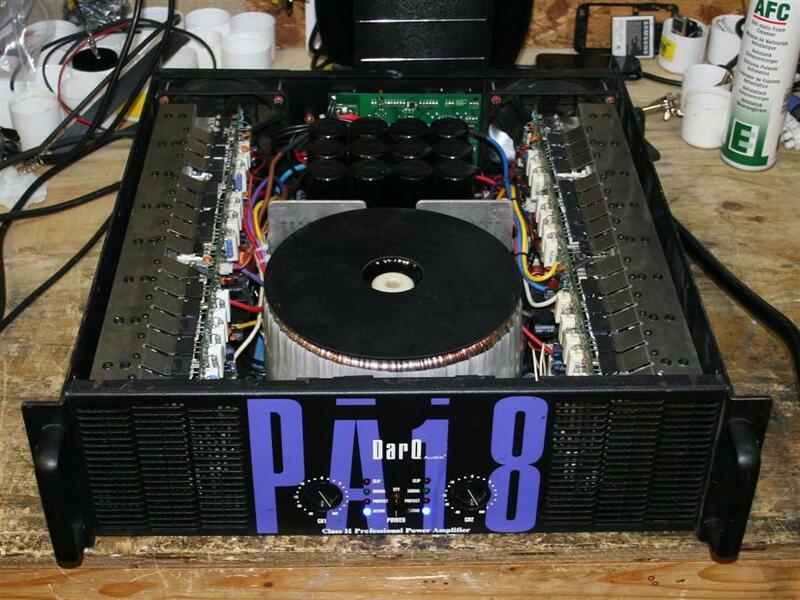 Golliath amplifier from the late Darq Audio, one of the physically largest and heaviest amps we've tested. The amp is specified to 1800W at 4R stereo and 3600W into 8R in bridge mode, and easily exceeds its specification. We measured 2077W at 4R 1kHz both channels driven, and 3712W into 8R bridged. The amplifier is an approximate copy of a Crest CA18. 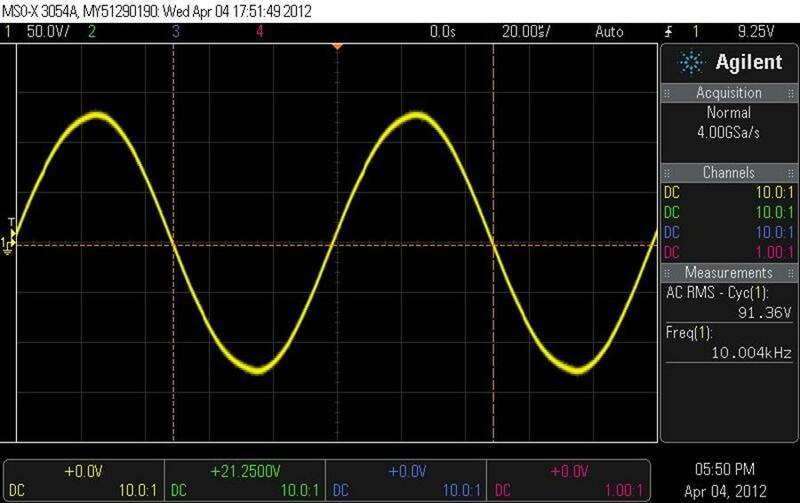 The amplifier does not like 2R loads, preferring to hard limit to protect itself. 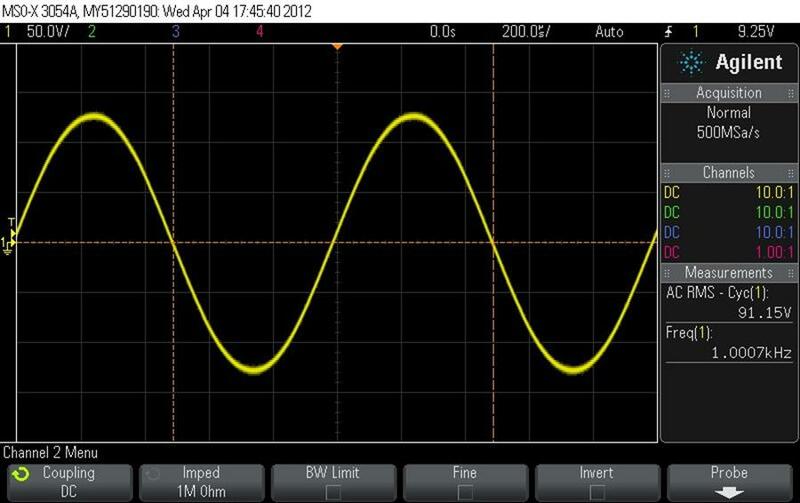 It also struggles to drive 2.66R loads, limiting to around half the power at 4R load with the same input. We've shown 1kHz results for 2R loading, the 40Hz and 10kHz results were similar. The amp has no problems with 4R or 8R loads. 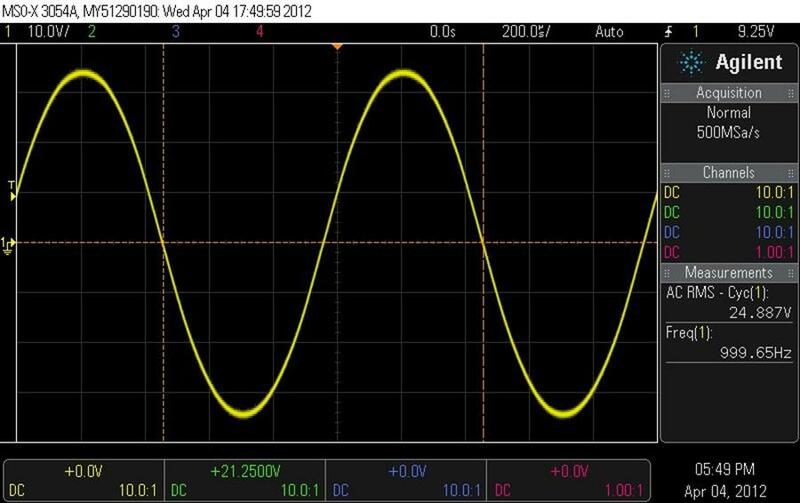 Waveform performance is generally clean, but the onset of clipping is more gradual than most other amplifiers, hence the slightly less than ideal waveforms below. At lower power levels the amp is very clean indeed. 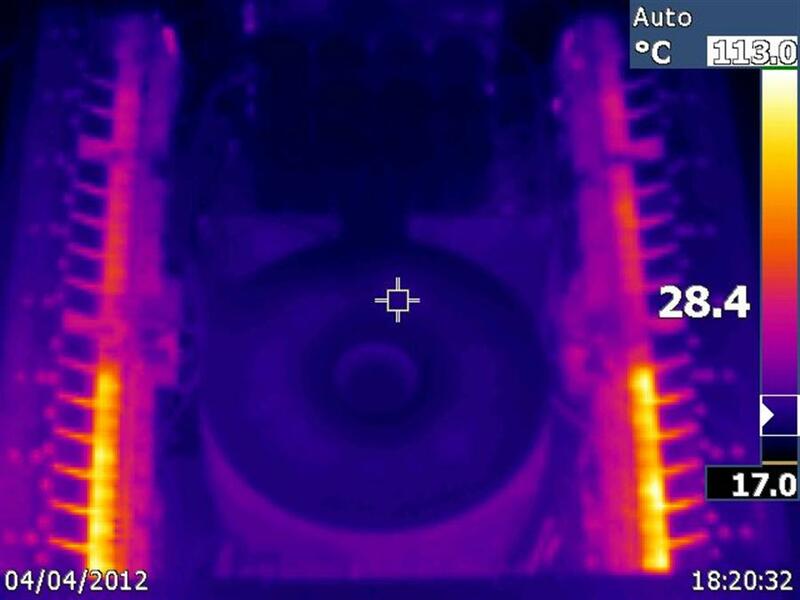 The amp clips cleanly with no signs of oscillation or nasties. Mains voltage hovered around 242.2V throughout test. 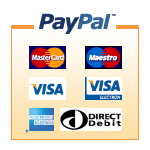 Current limiting at 2R load (amp not specified for 2R). 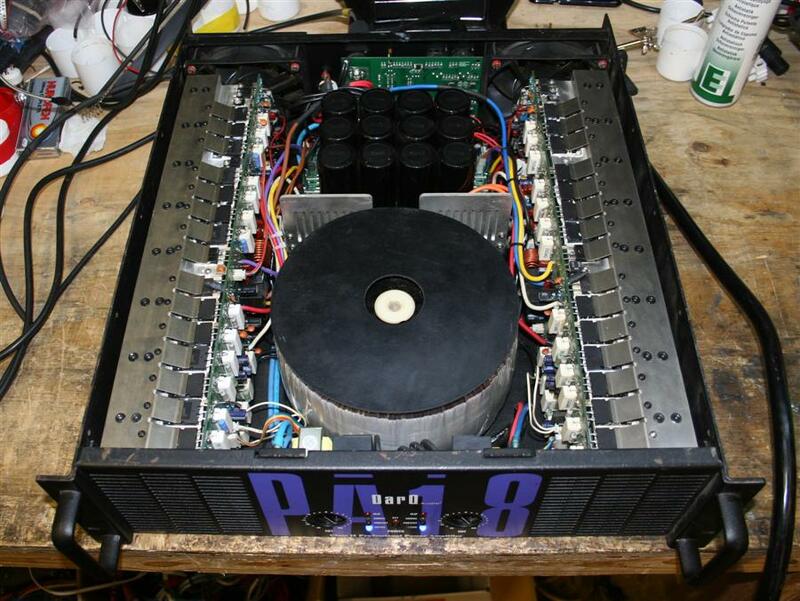 Internal shot of the amp showing massive toroidal transformer, smoothing capacitors and amp channels towards the left and right of the enclosure. 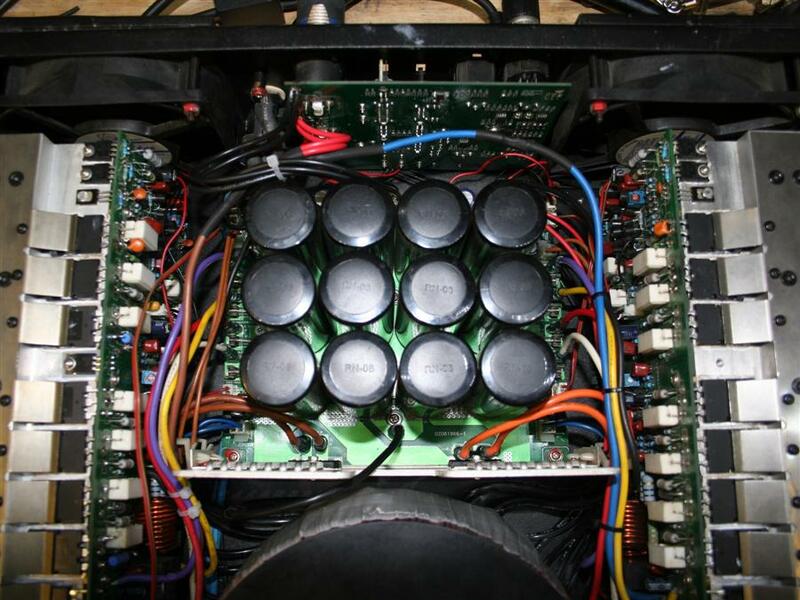 Closeup of the power supply caps. 8R 40Hz performance. Threshold of clipping. Slight distortion of waveform crests due to clipping onset. 8R 1kHz performance, threshold of clipping. Nice clean waveform. 8R 10kHz waveform. Slight visible distortion due to onset of clipping, otherwise relatively clean. Very slight evidence of rail switching on the rising edges of the waveform. 4R 40Hz performance, threshold of clipping. 4R 1kHz performance. Very clean and very little visible distortion. 4R 10kHz performance. Clean waveform, slight visible distortion. 2R 1kHz performance. Note the vertical scale of the oscilloscope. Visible distortion due to hard limiting action of the amplifier, it is not designed to go down to 2R and limits hard if it detects a 2R load.